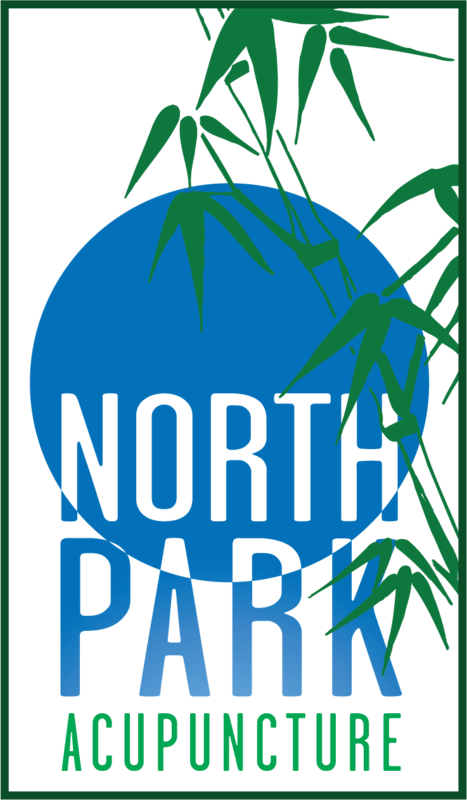 Welcome to North Park Acupuncture. 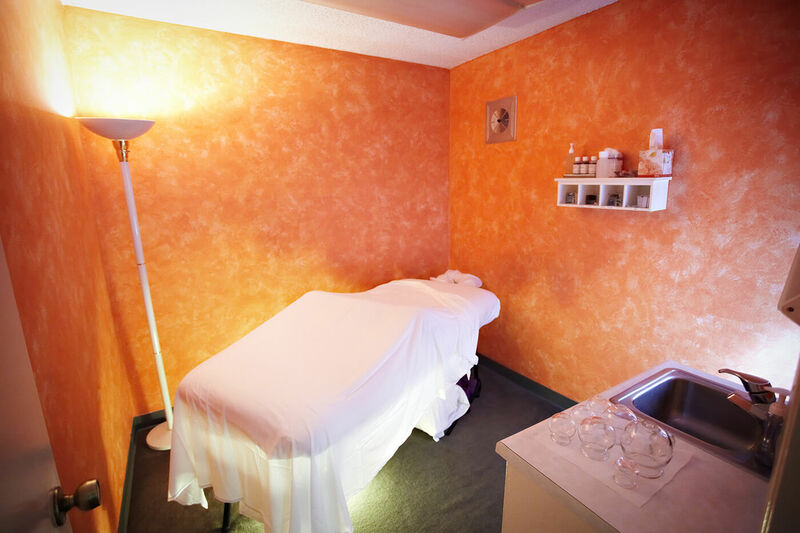 Each treatment room has been painted and decorated especially to enhance the energetic qualities of your treatment. Here is a description and photo of each room. You enter a sanctuary of peace and healing. Many patients say they can feel the special energy the moment they walk through the door. The waterfall, Kuan Yin – the Goddess of compassion, the comfortable chairs all make the space more inviting. This room is made of soothing blue colors and is decorated with pictures of dolphins and water rocks. It is ideal for calming your energy and de-stressing your nervous system. The energy of this room is a quiet water cave with a deep gentle slow moving stream flowing from your head past your feet. The energy of this room is that of an Earth Magma Cave. It is designed to help people feel more grounded and energized. It is perfect for the person who has cold hands and feet, who has more ideas than energy to manifest, whose mind jumps from idea to idea yet has trouble making them happen. 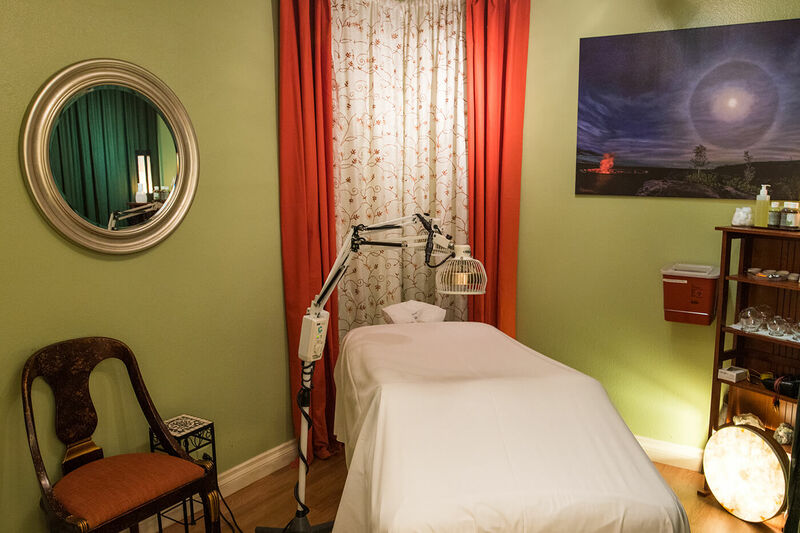 After a treatment in this room you will feel more centered and calm. This room is not for the overly driven personality, who is very hot, fiery or impatient. 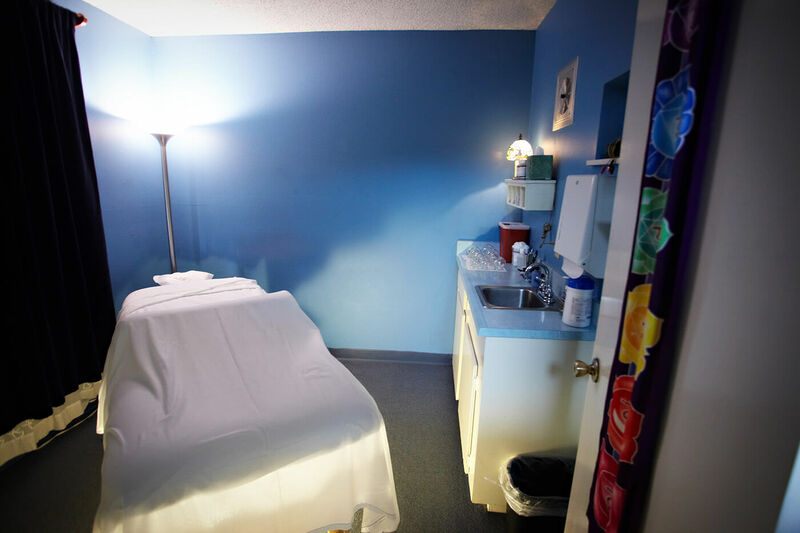 The energy in this room will aggravate their qi and make them irritable and impatient. The Wind and Water room is best for this person. Everyone can enjoy this Lotus and Water Lily room. All elements are present: Fire, Earth, Water and Wind. Harmony is inspired as you gaze at the Monet-like mural of a flowers and trees. 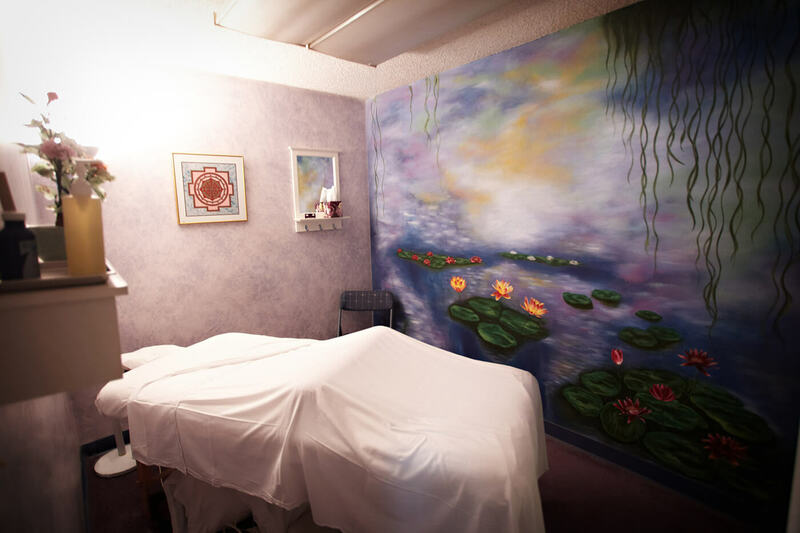 This room balances all your energies helping them to flow freely within your body. This room has all four elements present. It resonates with the lush green forest of the Big Island. A painting of a moonbow over Halema’uma’u crater in Kilauea caldera is the center piece. 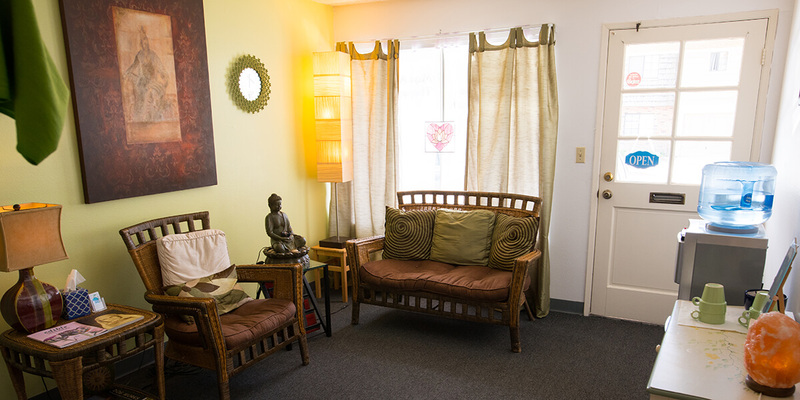 This room is used for deep relaxation and for connecting with one’s deeper purpose. It is frequently used for fertility treatments. Ready to take a step towards healing?